When Teceri was looking for a partner for IP Video Conferencing we wanted a leader in the industry. We also wanted a solution that was cost effective and provided the flexibility to meet from any of your devices, wherever you are and whenever you want. Lifesize® was just that partner. 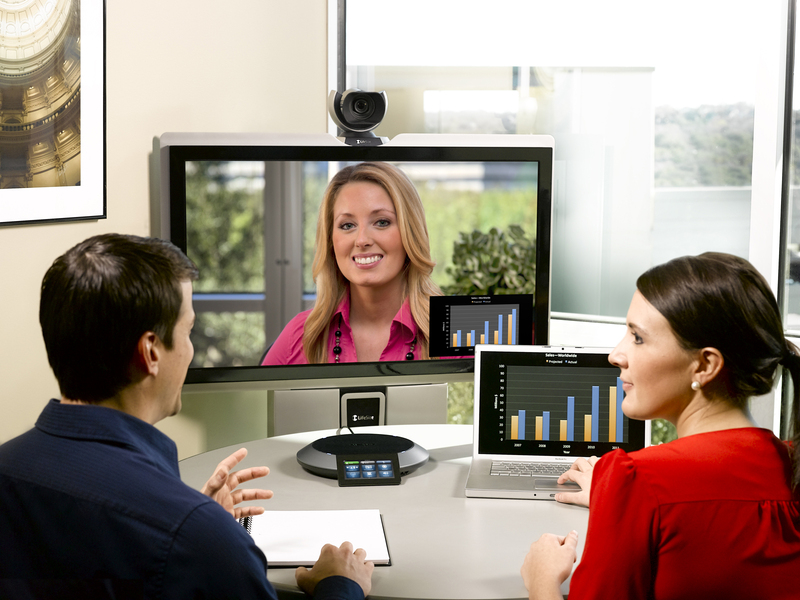 Lifesize® provides an award-winning conference room solution as well as integrating desktop/mobile video conferencing. If you’re looking for a high-quality audio and video solution for your meeting room, then the Lifesize® Icon Series fits the bill! Lifesize® Icon™ video conferencing systems are so easy to use that you can instantly connect with everyone you need, from anywhere. And when paired with Lifesize Cloud, there simply isn’t a more powerful and easy-to-use video conferencing solution available! From small meeting spaces to hall or auditoriums, you don’t have to trade quality for convenience with the Lifesize® Icon 400/600/800 series, which combines best-in-class endpoints with our award-winning video conference application. The Huddle Room: Lifesize® Icon 400 is designed to bring the power of video collaboration to small meeting rooms with a target room size of 10′ x 10′ and target group size of 3-5 people. The Conference Room: Lifesize® Icon 600 pairs perfectly with a larger size conference room and boardrooms. Target room size- 15′ x 30′ and group size 6- 12 people. The Auditorium Solution: Lifesize® Icon 800 delivers the ultimate communication experience to large meeting rooms and auditoriums. Target room size- 50′ x 50′ or larger and the target group size is larger meeting rooms, classrooms, lecture halls and auditoriums. No matter how large or small your video conferencing needs are, Lifesize® Icon has a solution for your business or organization. Contact Teceri Technologies to learn more about IP Video Conferencing and get started today!